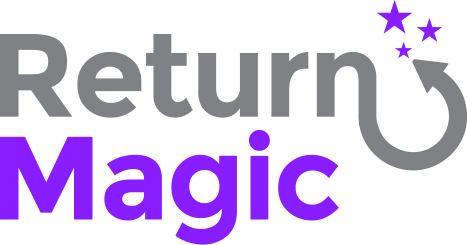 Using Return Magic, you can choose to have your inventory be restocked automatically when you issue a cash or store credit refund or an exchange. Since the return will be marked as manually processed, Return Magic will not automatically restock to inventory. This use case assumes you have processed the full return manually, including inventory levels. If you use the Shopify inventory system to manage your inventory: good news! Return Magic integrates directly with the Shopify inventory, so you just need to set this up in your Settings and everything will happen automatically. Head to your Settings, under Policies > Rules. This is where you've setup and automated your return policy. If you click on "Edit" next to a return option, and scroll all the way down, you'll see you're able to check an option "Put the item back in the inventory". This means your items will be automatically restocked to inventory once you've processed the refund / store credit / exchange through Return Magic. Since you are using a platform that is directly connected to the Shopify inventory system, and Return Magic is connected to Shopify as well, then you can use our built-in return to inventory feature. This will update Shopify inventory levels, so make sure that the platform you use takes updates from Shopify to update their own inventory levels. If not, you fall into the third category, below. See the section above on how to turn on return to inventory in Shopify. If you are using an external inventory management system, then we do have an open API you can use to create the connection between Return Magic and your inventory management platform. Contact us at support@returnmagic.com so we can provide you with the API documentation and discuss your integration in greater detail! How is the postage for my labels calculated?